At Axenics, we perform precision tube bending for complex assemblies, specialty piping kits, gas panels and other contract manufacturing processes used throughout a variety of industries. We offer both manual and Computer Numerical Controlled (CNC) precision tube bending services, depending on the size and quantity of bends desired. We also provide custom tube bending services, allowing bending to precise customer specifications. Our technicians provide precision stainless steel tube bending services as well as tube bending in a variety of other metals, including: Inconel, titanium, copper, aluminum and several additional alloys. 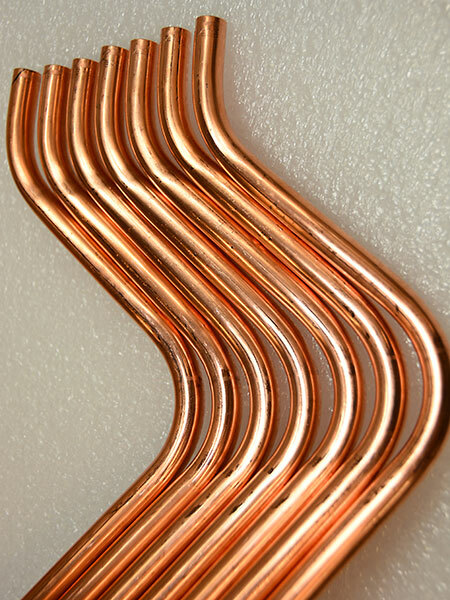 We are capable of bending tubing that ranges in size from 1/16-inch to 2 inches. At Axenics, our expert tube bending technicians have years of experience and are highly trained to provide the most accurate bends possible. All of our bends are leak-tested before they leave the facility as a part of our strict quality policy. Tube bending reduces the possibility of leaks that can occur with welded joints. With tube bending, there is also a smaller chance that contaminants will enter the high-pressure gas and liquids flowing through pipes. For larger tubing and/or higher quantities of tube bending services, we use an automated CNC Tube Bending machine. Be sure to outline as specifically as possible what you want the company to do for you – beyond the manufacturing – so you get a clear picture of the total cost. We provide a detailed breakdown in every quote. What is the skill level of the manufacturer? It’s important to verify the expertise of the technicians that will be doing the work for you. It’s also important to verify what certifications and processes the company has in place to ensure the project is completed to specification and on time. Are services tested for quality? This is a valuable benefit because it ensures that the quality of the components and/or assemblies produced matches industry standards, as well as any specific requirements your organization might have. We test all work that we do in our facility, in addition to offering testing based on customer requests, in which case, we test to client specifications. Is it a one-time project or ongoing? Tube bending companies often negotiate volume discounts from material suppliers and will pass on some of that savings to you. If, however, they are being hired for a one-time gig, or one that requires uncommon materials, the estimate might be higher. Our metal tube bending process uses several bending tools, hand benders and/or our automated CNC bending machine, depending on the specific project requirements. We use mandrels which help to maintain the shape of the tubing and prevent the unit from collapsing. Tubing is created using a variety of tube bending processes, which most commonly include ram-type bending, roll bending, compression bending, and rotary draw bending. Each process uses different seam configurations depending on the materials used and the look and/or shape desired. Welded, open, and lock-seams are the main seam types; however, seamless tubing may also be produced for a cleaner look, among other reasons. Precision tube bending is often used in the semiconductor and chemical industries for liquid and gas delivery, predominantly for cooling purposes. The benefits of this process include leak prevention, cost savings and a smoother finish. We can redesign your tube systems to fit into limited space requirements without slowing down your operations. Another benefit of tube bending instead of welding is that welds can deteriorate faster from vibrations when placed into large machinery. Vibration fatigue and failure can be a problem with some moving mechanical systems and equipment. Bending results in longer-lasting tubing. Hand bending requires a low initial investment, and the tools are easy to operate. Hand bending tools are also portable and safe to operate. At Axenics, we offer Computer Numerical Controlled (CNC) tube bending services for larger tube bends and for customers requesting high-quantity tube bending services. We use the latest Horn Metric TBRE Hybrid CNC Bender. We have the ability to work with all of the major alloys including; copper, brass, aluminum, stainless steel, titanium and Inconel. Utilizing our precision tube bending capabilities ensures that your tubes are free of deformities, are bent accurately to your desired requirements and are delivered on time. CNC bending provides a more precise, automatic and repeatable process than manual tube bending. Compared with manual bending, CNC tube bending machines can accurately control the degree of a bend, the distances between bends and the plane of the bend. CNC bending allows for maximum accuracy due to its higher degree of control within the process. This computerized and automated tube bending process makes it possible to perform more complex bending processes than manual bending and increases overall operational efficiency. We position the weld seam at the correct location, normally on the neutral axis of the bend (the centerline) to maintain the tube’s roundness. The tube can then be bent the required angle repeatedly along its length for a uniform look. This method allows for accuracy of the tube bend up to 0.005-inch to 0.010-inch. Precisely bent tubes are vital to your operations. Our highly-trained bend technicians are capable of CNC bending a wide range of bend radii. Once complete, all of our bends are leak-tested before they leave the facility as a part of our strict ISO quality policy. We use a Horn Metric TBRE Hybrid CNC Bender, a dual stack hydraulic tube bender with roll forming capabilities to implement a variety of CNC tube bending services. Our CNC bender executes both simple and complex bends of up to 2-inch diameter tubes. It bends one part per minute, which allows for much faster bending capabilities than manual bending for moderate- to high-volume production runs. 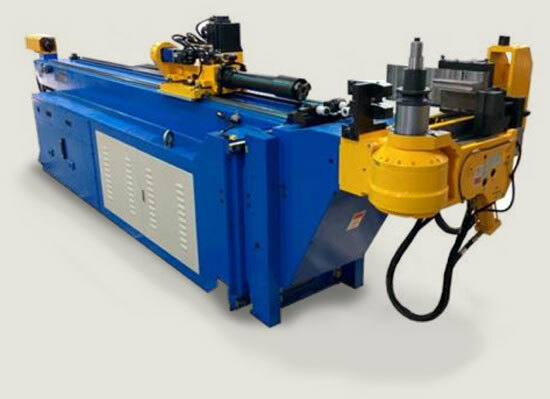 The bender offers mandrel bending and roll bending, which allows the machine to mandrel-bend tight radius and roll-form large radius sweeps on the top stack. It uses servo electric bending and servo tube positioning, combined with hydraulic tooling actuation to maximize the energy applied during the bending process. 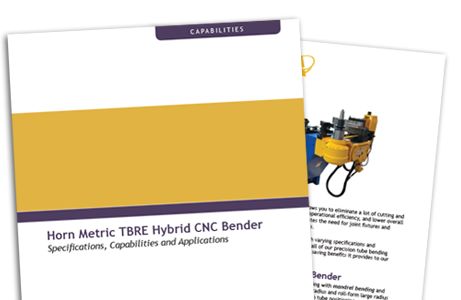 By using our Horn Metric CNC bender to manufacture a roughing line used to evacuate a vacuum system for the semiconductor industry part, we were able to keep the welded joints to a minimum, and significantly reduce the manufacturing time. One of the best features of the CNC bender is its ability to import 3D designs using the latest software, making it easier for OEMs and contract manufacturers.